First of all I would like to wish "Happy New Year" to all the readers of World Journal of Laparoscopic Surgery. As minimal access surgeons, we are the only group of people on earth whom our patient gives formal consent to render them unconscious and enter their body with telescope. Thus, we have the highest onus to leave no stone unturned in our quest to do the perfectly right thing for our patients. World Journal of Laparoscopic Surgery is helping surgeons and gynecologists of all over world to get the highest slandered of knowledge available in Minimal Access Surgery. Is Mirena as good as claimed? Mirena is a soft, flexible IUD that releases small amounts of hormone locally into uterus. Small, T-shaped and made of soft, flexible plastic. Mirena is also proven to treat heavy periods in women who choose intrauterine contraception. 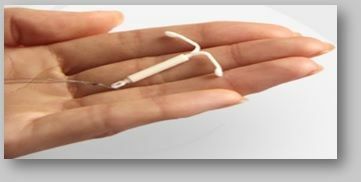 The hormonal intrauterine contraceptive device is a t-shaped device that is implanted inside the uterus in female who don't want baby and it is left there for up five years. While in place inside the uterus, Mirena releases the hormone levonorgestrel. In USA Mirena is found to create some serious complication and a Mounting lawsuits and reports of misleading advertising has been filed in USA. The court has raised some concerns about the safety of the device. DISPOSABLE ACUPRESSURE DEVICE AS PART OF A MULTI-MODAL ANTIEMETIC STRATEGY FOR REDUCING POSTOPERATIVE VOMITING AND NAUSEA. Laparoscopic Cholecystectomy for Asymptomatic Gallstone - Is it necessary?